Are you already working as a non-medical professional and seeking for a career in nursing field? Well, online CNA classes have made this task very easier. Through online programs, aspirants can get trained, sitting at their homes and without quitting their current job. Distant certified nursing assistant programs via online are more preferred, now-a-days. Here are some important details; you might like to know about these classes. Why to take an online training class? Online nurse aide programs entirely go with your busy lifestyle and hectic schedules. You can take classes wherever and whenever you want. It means you have complete control on your time and independence to select the schedule and place of training. You can continue with your current job, while learning. As compared to regular programs, the cost of online classes is relatively lower. You can make your online certified nursing assistant training effective by exploring huge information and complementing the online discussions with video tutorials. You can download course materials, attend online lectures and take part in group discussions, via online. These programs use interactive technology, like chat rooms, advanced computer software, video lectures and discussion boards. What can you learn from online CNA classes? These courses use a hybrid in-person and online format to provide clinical instruction. Some online institutes might assist you to locate a healthcare facility in your area that will let you to finish your clinical work. In other cases, you are required to find a nursing home or other facility in your locality, in person. What are the requirements to sign up for online CNA classes? A GED certificate or a diploma in high school. Several institutes organize pre-screening test, before admitting the students. You need to qualify this test. Aspirants are ought to submit health check up report. They also have to provide the vaccination record and TB test report. You should not be indulged in any sort of criminal activity and illegal behaviour. Fluency in reading, writing and speaking English is also a mandatory requirement. 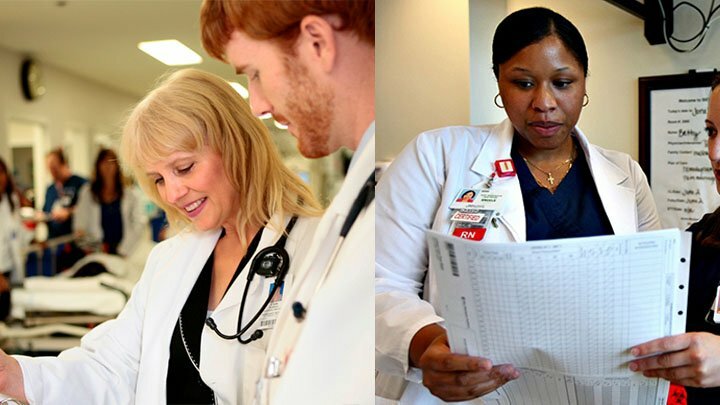 How to find best online nursing programs? It is accredited by the concerned state. It covers the entire course, mandated by the federal law. It makes you eligible to appear for certification exam. Is there any downside of taking nurse aide training, online? Such training lacks direct interaction between the professor and the trainee. It’s difficult to assess the preciseness of the information, provided by the online classes. Most of the trainees, who attend online programs, fail to perform well in the Certification Exam, as compared to those who get campus training. Online courses do not offer the chances to acquire on-the-job training in real clinical settings.